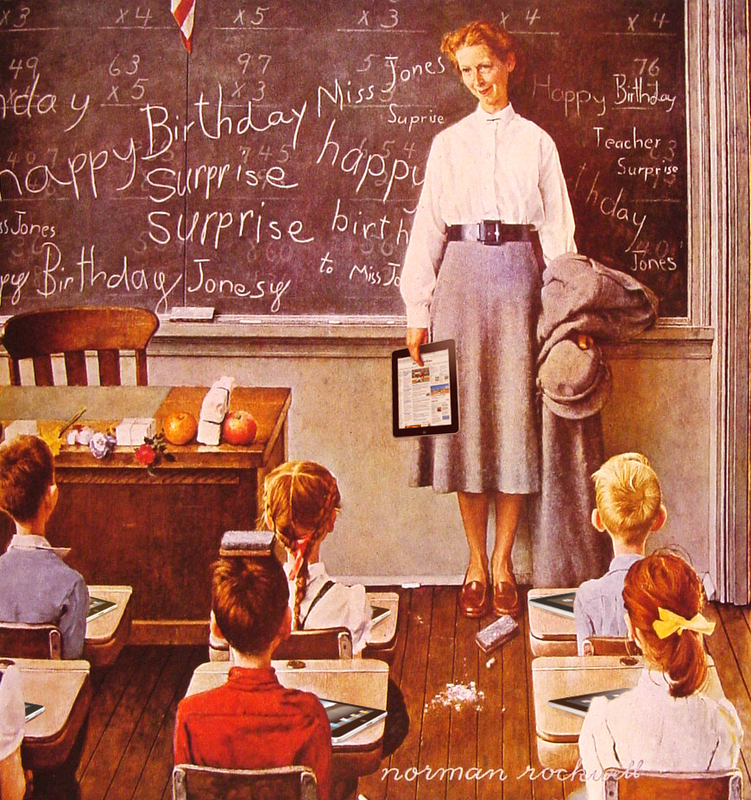 iPads for learning: over sold, under valued or just plain unknown? As microsoft launched its new Surface tablet the London Knowledge Lab started its Autumn series of ‘What the Research Says Events’ with a session about iPads and Education. The following text was used as a provocation for a lively and well-informed discussion that will be used to produce a full report in January. Any report about iPads and Education must surely be falling into the trap of seeing learning and teaching with technology in terms of the type of technology being employed? In this short briefing paper we are certainly concerned with a type of technology: touch screen, portable, wireless devices, such as the iPad. However, the emphasis is on exploring how effective learning activities can be supported by iPad devices. The aim of this short paper is to stimulate discussion: discussion that will feed into a larger event and report in January 2013. An article in Time (tech) earlier this year sums up the situation about iPads and education rather nicely: we think they are good for learning, but we don’t have the evidence. The article reported that a study in Auburn, Maine found that young learners using the iPad 2 scored higher on literacy tests and were more enthused about learning. However, it also reported the powerful views of Larry Cuban, a professor emeritus of education at Stanford University, who urged caution, saying that “There is very little evidence that kids learn more, faster or better by using these machines,” …“iPads are marvelous tools to engage kids, but then the novelty wears off and you get into hard-core issues of teaching and learning”. We therefore focus on thoughts about learning with iPads based upon what we already know about learning and technology – hence the emphasis is on evidence based potential rather than hard evidence of performance. We know that human knowledge arises from social interaction. Social interactions can take the form of traditional teacher and learner interactions, peer-centred interactions, or participation in activities with large groups or communities. iPad technologies can support easy sharing between 2 or 3 people sitting together and using a single device in the same location. They can also be effective at putting people in touch with each other when they are in distant physical locations, through wi-fi or phone network connections and using software applications such as skype. The quality of these shared experiences is not guaranteed by the iPad of course, but is there potential to develop high quality shared learning through with the iPad as a platform? All learners are different and require teaching and learning interactions that acknowledge these differences and provide suitable support. A technology, such as an iPad, that is owned by an individual learner and populated with material and applications that are particularly suitable for their needs could be a powerful, portable, personal learning partner. Benjamin Bloom from the University of Chicago wrote a seminal paper in 1984, which illustrated that learners who were individually tutored performed significantly better than those who received conventional classroom instruction. Do iPad type technologies offer the potential to work in combination with individualised tutoring systems and provide communication sessions with human tutors to provide such individual tutoring? iPad technologies can also be used as a receiver for broadcast media, such as lectures and videos given by individual experts and received by many individuals. Thus could learners be ‘scaffolded’ to success by others who are more knowledgeable and who may be teachers, experts, peers or the technology itself acting in a tutorial capacity? A small, portable device that is personal to a learner and through which they conduct learning activities is not only a window for learning, but also a window through which invaluable data about the learner and their interactions can be captured, stored and analysed. The potential for the widespread use of tools that can capture the progress of a learning episode, individual or joint is particularly powerful. The visualisation of this analysed data on the iPad also offers important support for assessment and personal reflection. The storage capacity of the iPad device is limited, but access to cloud based storage might alleviate this constraint, provided network access is available, but what are the social costs and implications here? Being able to understand what a learner knows and understands is key to teaching and learning. Learners need to be completing tasks that are appropriately challenging, without being so difficult that learners are bound to fail. In combination with the capacity for the collection and collation of data about learning activity as highlighted above, the analysis and representation of this learning data is vital. Could iPads can be used to access such representations and act as repositories for personal models of the learner and their progress? Could these models then be used by the learner to reflect on their performance and can be shared with teachers and parents? Making and sharing are important learning activities through which learners must construct their own understanding and share the fruits of their construction with others. Do iPads offer an effective platform through which tools such as scratch can be used, through which blogs can be written and viewed, and through which apps can be distribute? What are the limitations e.g. constraints from the AppStore and the need for the Apple development tools? Playing and exploring can be great fun and very motivating. However the games being played need to be well designed and offer real learning opportunities. Learners may well need support, at least initially, to develop the metacognitive and self-regulation skills to get the most from such ‘free-form’ self-guided activities. Could the iPad be a useful medium through which these activities can be effectively acted out, provided the activities themselves are driven by well–design software and timely human support interventions? Applications can be used to support many effective learning practices, depending upon the design and quality of the app. For example, we know that drill and practice activities have a role to play in learning. They can for example, be very effective at preparing learners for the examinations they need to pass and for achieving fluency in particular skills. Many Apps offer good opportunities to practice anything from language learning and maths to cooking skills. Other Apps can offer opportunities to track ones performance in sport or measure distances between points on a map, as well as a host of other possibilities, some more learning effective than others. Does the iPad provide the platform for these Apps and enables them to be used in multiple locations within and beyond formal educational institutions? Teachers have been quick to take up iPad type applications and there are many examples of their use to be found in practitioner blogs and discussion forums. This presents a challenge as well as an opportunity: authors rarely discuss how the applications they have used were integrated into practice effectively and it can be hard for teachers to know which of the many options available would be best for them and their learners. We know that the circumstances of learning make a great difference to the efficacy of learning. The people, places, and things with which learners interact are crucial elements in their developing understanding of knowledge and skills. Does the mobility of the iPad offer great opportunities for learners and their teachers to build meanings and experiences across different locations? 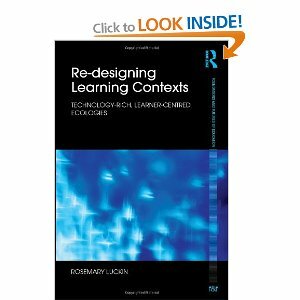 Could the portability of devices like the iPad also help to develop the coherence of the learner’s experience, which can in turn reinforce prior learning and create deeper understandings? The constant updating of devices, such as the iPad is both a constraint and an enabler of their learning potential. It is clearly a constraint, because of the cost implications of constantly upgrading. Could it also be an enabler, because frequent upgrading provides the possibility to use the latest technology hardware and software features, such as voice input and embedded cameras? 11. Too New for us to Know? Launched in 2010 with 7 million sales units, the iPad is predicted to increase to 60 million sales units in 2012, uptake of this device has grown very, very fast. In the US the combination of iPad and Android tablets is likely to outstrip PC sales soon. However, as highlighted at the start of this report, the evidence about learning with iPads is still variable in quality and not well integrated between research and practice. 12. Another thorn in the side of Network Managers? The level of resourcing for technical support in schools is often low and the prospect of multiple devices moving in and out of a school or college and then re-connecting to a network can be challenging. This can be made worse if the devices are not provided by the school or college and belong to learners, are of different makes and types and use different operating systems. Could iPads alleviate some of the difficulties here, because of the limited channel they provide between device and network? Or does the limited platform afforded by the iPad ‘dumb down’ learning possibilities? The people who support learning: teachers, peers, classroom assistants and technicians. The other kit that is required, such as a wi-fi connection, or access to a printer.